The Transport Secretary has conceded the recent rise in rail fares, brought in while ScotRail struggles with performance targets, is “unwelcome” for travellers. Michael Matheson said while the performance of ScotRail operator Abellio is “not where it should be”, passengers are still facing the prospect of price hikes for tickets each year. Freezing train fares could cost the public purse an estimated £58 million, he added, warning that could have a “significant” impact on taxpayers. He was speaking the day after the average cost of train tickets in Scotland increased by 2.8% – although travellers on peak time services will see their journey costs rise 3.2%. Transport Scotland defended the rise as being below the 3.1% average increase being faced by rail travellers in England and Wales. But some opposition politicians and transport unions hit out, saying prices should be frozen because of ScotRail’s performance problems. 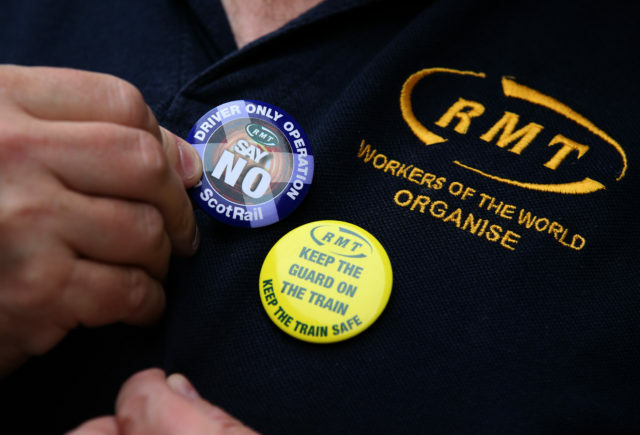 Mick Hogg, of the RMT union, said Scotland’s train travellers are “sick to the back teeth of a rail service that is not working”. Speaking on BBC Radio Scotland’s Good Morning Scotland programme, the union’s regional officer said: “Passengers are getting ripped off with crowded trains, cancelled trains and not enough staff to run the trains. Mr Matheson told the same programme: “I recognise that the annual increase in rail fares is something which is something which is often unwelcome, particularly when we are going through a period when the rail franchise operator Abellio have not been performing to the levels which we expect. “I do recognise that the performance we have with ScotRail at the present time is not where it should be, we have been very clear and are taking action on that matter. Just before Christmas, the Scottish Government ordered ScotRail bosses to improve performance levels. A remedial notice issued on December 24 cited cancellations throughout November and December as having breached required performance targets. The rail operator had introduced a new timetable earlier that month which was expected to improve the service. However passengers faced a number of cancellations across the country, with staff training and infrastructure problems leading to significant disruption. A response to the notice must be delivered within eight weeks, outlining how ScotRail will resolve the issues.